Wow! SECOORA is celebrating 10 years. From the beginning, our members, partners and supporters have helped SECOORA expand the Southeast coastal observing system. This continuing work is increasing awareness of the importance coastal observing, and SECOORA is extremely grateful for your support. 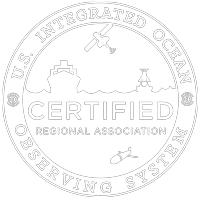 Coastal observing supports jobs, economic development, maritime safety and environmental health. Making these observing contributions for over a decade is a testament to both the value of the work, and the commitment of the SECOORA community. We thank you and cannot wait to celebrate. Below are some of the anniversary activities underway, and information on how you can get involved!